Zipcar is a car-sharing service that allows users to rent vehicles by the hour. 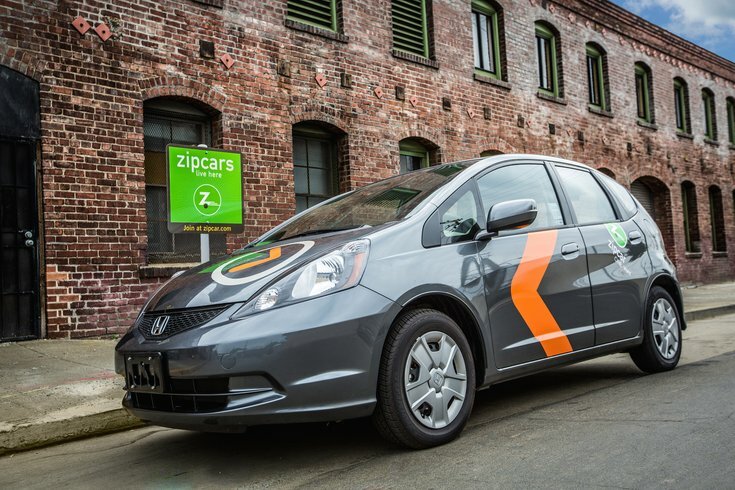 Zipcar users in Philadelphia will soon be able to rent out cars without having to make a round trip. After a successful pilot in Boston, Zipcar will be offering ONE>WAY service in Philly, Denver and L.A., the Boston Globe reported. That means users of the rental service can drop off their vehicles in a spot other than the original rental location. ONE>WAY's expansion shows that Zipcar is trying to push its way into the market of taxi services like Uber and Lyft, noted the Shared Use Mobility Center. The service is geared toward more casual, spontaneous trips, as drivers can only book their cars half an hour before the trip starts. In Boston, it costs $6 per half-hour plus an annual membership fee of $60. Users must book both the car and the space it will park in, avoiding the issue of drivers arriving at a Zipcar parking lot that's full or empty. And here's more good news for Philly Zipsters: the company is letting you get outta town on the weekend of the pope's visit for around half off the usual price. In a papal visit deal, users can rent a Zipcar from September 25 to 28 for $149.